Norwegian have announced that Niels Smedegaard, President and CEO of DFDS has been nominated to become the chair of the board of the budget airline. Smedegaard has previously held leading positions in companies like Gate Gourmet Group, Swissair and SAS and is a Danish citizen. The Nomination Committee recommends that Smedegaard is elected as a new member of the Board of Directors and that the Board considers electing him as the new Chair of the Board. The Nomination Committee also nominates Ingrid Elvira Leisner as a member of the Board, with the new Board of Directors will be elected at Norwegian’s Annual General Meeting on May 7th. The airline recently announced it carried close to three million passengers during March, an increase of 5% compared to the same month previous year. A total of 2,961,840 passengers chose to fly with Norwegian in March; 145,676 more passengers than the same period last year. The total traffic growth (RPK) increased by nine percent, while the capacity growth (ASK) increased by 11 percent. The load factor was 85.4 %. 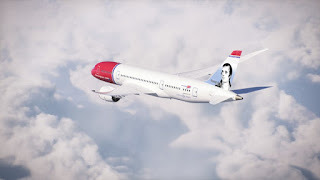 Norwegian is the world’s fifth largest low-cost airline and carried over 37 million passengers in 2018. The airline operates more than 500 routes to over 150 destinations in Europe, North Africa, Middle East, Thailand, Caribbean, North and South America. Norwegian has a fleet of more than 160 aircraft, with an average age of 3.8 years, making it one of the world’s youngest and “greenest” fleets.